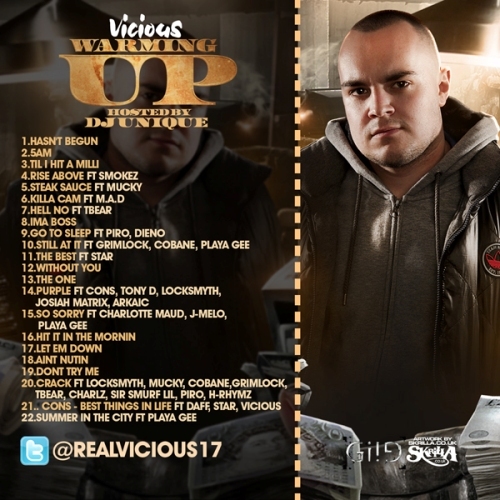 London rapper and OEM recording artist Vicious drops his debut mixtape ‘Warming Up’ a strong collection of twenty-two tracks that is hosted by DJ Unique from the well respected Ghetts It In Gang. 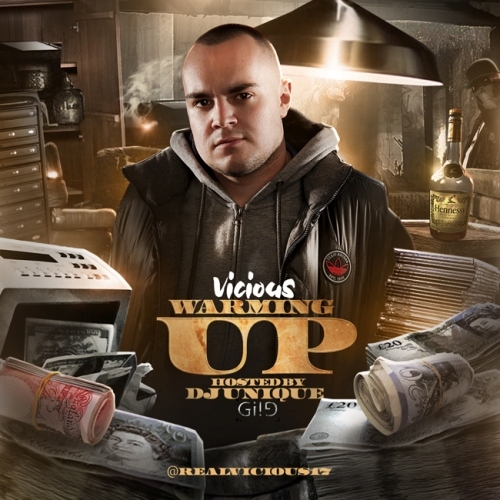 This release has already making waves on the underground, noted for its excellent display of solo cuts and killer collaborations with the likes of Don’t Flop Champion Tony D featuring, as well as Colony members Cons, TBear, Sir Smurf Lil, Grimlock and other talented UK artists such as Mucky, Locksmyth, J-Melo, Hard Body Ent. and more.